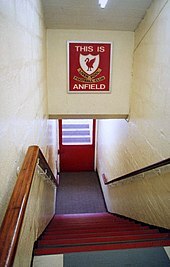 Anfield is a football stadium in Anfield, Liverpool, England, which has a seating capacity of 54,074, making it the seventh largest football stadium in England. 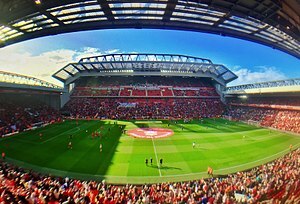 It has been the home of Liverpool FC since their formation in 1892. It was originally the home of Everton FC from 1884 to 1891, before they moved to Goodison Park after a dispute with the club president. 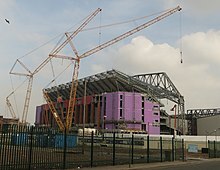 The stadium has four stands: the Spion Kop, the Main Stand, the Sir Kenny Dalglish Stand and the Anfield Road End. The record attendance of 61,905 was set at a match between Liverpool and Wolverhampton Wanderers in 1952. The ground converted to an all-seater stadium in 1994 as a result of the Taylor Report, which reduced its capacity. 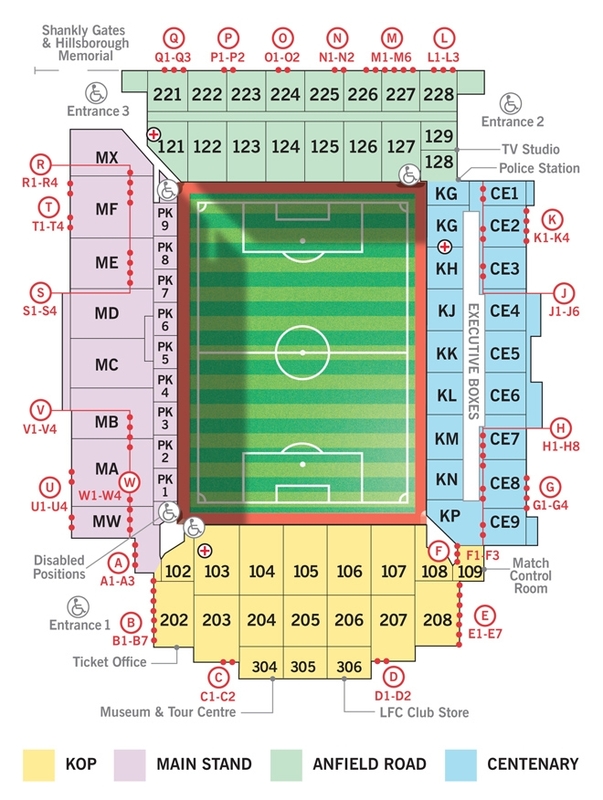 Anfield comprises 54,074 seats split between four stands: the Anfield Road end, the Sir Kenny Dalglish Stand, the Kop, and the Main Stand. 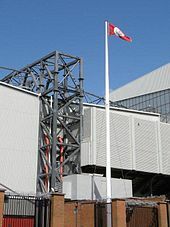 The Anfield Road end and Sir Kenny Dalglish Stand are two-tiered, while the Kop is single-tiered and the Main Stand three-tiered. 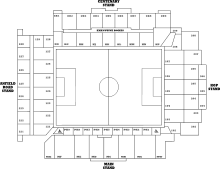 Entry to the stadium is gained by radio-frequency identification (RFID) smart cards rather than the traditional manned turnstile. This system, used in all 80 turnstiles around Anfield, was introduced in 2005.